is stainless steel knitted mesh. shock absorbing and noise reduction. shielding performance for EMI/RFI shielding. gaskets supply excellent shielding performance. in cleaning and air-filtration applications. materials, shapes, and wire diameters. Flatten or ginning knitted mesh types for choice. Knitted wire mesh is made by knitting machine similar to jumpers and scarves machine. 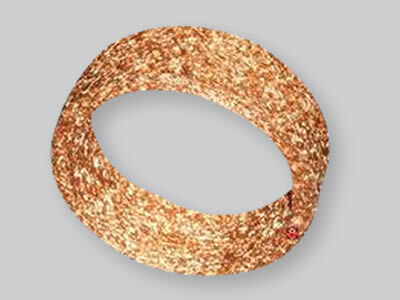 The final knitted mesh is in the structure of inter-connecting loops, and it similar to a long knit sock. We can produce multi-filament, co-knit and multi-strand knitted wire meshes. Our knit wire diameter is commonly range from 0.11mm to 0.35mm. But for special applications, knit wire as small as 0.03mm or as large as 0.8mm in diameter is available. Boegger is the knitted wire mesh specialists. 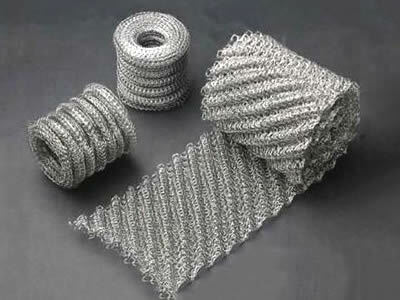 Boegger produce all kinds of knitted mesh and compressed knitted wire Products. These products include knitted mesh fabric, knitted wire mesh gaskets, knitted mesh filter, knitted mesh engine breathers, knitted wire mufflers, knitted wire demister pad, knitted mesh mist eliminator, and knitted wire mesh shielding. 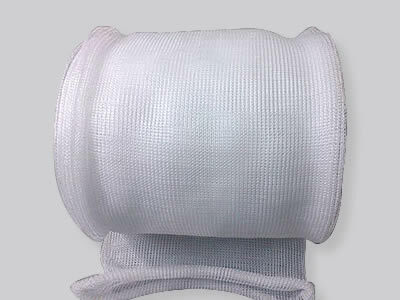 These knitted meshes mainly serve the following industries: cleaning of the filter, plastic and die, mufflers, shock absorber mounts, soundproof generator pad, air conditioning humidifier pad, to capture the flame of the wireless signal shielding, sealing in harsh environments. Our knitted wire products with a variety of materials. The available material include stainless steel, galvanized steel, Aluminium, copper, Nickel and copper nickel alloys. We can also made knitted mesh into all shapes, such as: knitted wire mesh tapes, knitted wire mesh rolls and ginning knitted mesh. We can compress our products into various forms. For example: cylindrical, round disc, ring, oval, rectangle, bottle-shaped, as well as various other special shapes. We focus on product development and production of knitted mesh. Our product quality is guaranteed. We provide knitted mesh with variety materials, variety diameter sizes and various shapes. Meeting customer's all knitted wire mesh project needs is our primary goal. Knitted wire fabric with stainless steel and copper wire materials and various types is widely used in cleaning and air-filtration applications. 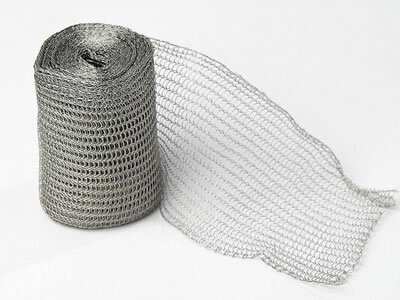 Knitted mesh is a popular products in engineering for shielding and filtering. The main material is stainless steel knitted mesh. 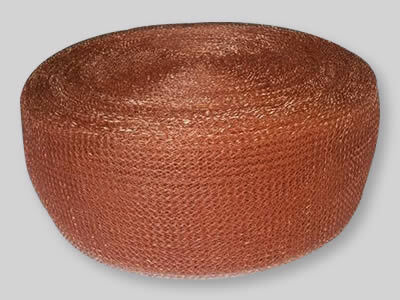 Copper knitted mesh with flatten and ginning types is widely used for filtering, cleaning and shielding applications. PP knitted wire mesh with simple structure and light weight, is commonly used in the industrial applications for mist eliminator. Ginning knitted mesh with a variety of corrugated shapes is widely used in automobile, electronic and other fields for high efficient filtration. 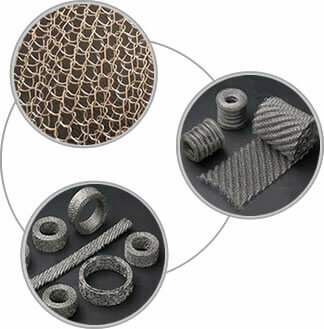 We can produce compressed knitted mesh into various materials, shapes, and wire diameters. Flatten or ginning knitted mesh types for choice. Knitted wire mesh, super coarse, SS309 material. SS 316 demister knitted wire with width 100mm, 5.0 mm thick, wire dia 0.1 mm. PTFE monofilament knitted wire mesh with wire diameter 0.3mm - 0.6mm for producing demister pad. SS304 knitted wire mesh sock with full round type comes in flattened size 685 mm width or approx 1370 mm in circumferential diameter. Strand single, 20 to 80 needles, wire round dia 0.20 mm and opening 3 × 4mm, 30 m / roll. Knitted nylon fabric wrapped around mandrel to achieve final cylinder used for silencer function in a pneumatic unit. 304 stainless knitted wire mesh wire diameter .002" or .0025", flat width 1 inch, 26 needles. 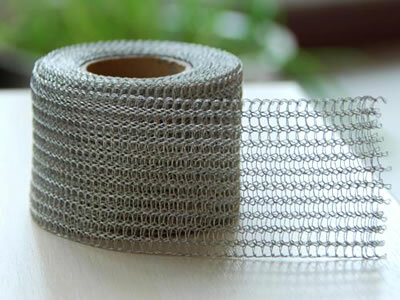 Aluminum knitted mesh rolls, thickness of Thread 0.2 mm, big loops around 5 × 5 mm, small loops between the big 2 × 4 mm, weight for single layer 100 g/m2. Stainless steel knitted tubes, with soft and flexible structure, is excellent to cover fabrics and easy to lay flat against it. Stainless steel 304, 304L cylindrical compressed knitted mesh filter, nominal filtration level 60-150 Micron, porosity 50%, temperature 40 to 120 Celsius. AISI304, AISI316 knitted wire stocking mesh in circular pattern for insulation purpose and as filters, or made to demister pads. Stainless steel 321, 304 / Monel demister pad, mist pad and evaporation demister mesh, with or without carbon steel grid supports. Stainless steel compressed knitted mesh ring, with flexible structure, effectively reduce the vibration during engine working. Knitted wire mesh is ideal for sound attenuation, vibration and shock suppression, electromagnetic and EMI/RFI shielding, filtration and scouring.